If I was asked to pick my favorite type of photography, or range of focal lengths to be precise, I would have to go for the ultra-wide end. The sense of grandeur and surrealism that an ultra-wide lens captures, just isn’t possible at higher focal lengths. Whether it’s mountains, grand buildings or confined spaces, an ultra-wide really delivers. For my previous camera, the Canon EOS 500D (Rebel T1i), the decision was quite simple. 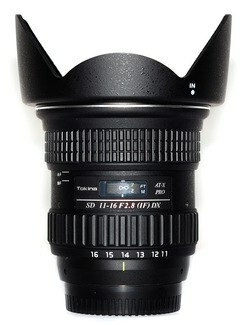 After much reading and contemplation, I found the Tokina 11-16mm f2.8 to be the most suitable for my needs. The narrow focal range and fixed maximum aperture of f/2.8 mean it is equal to a high quality prime. If you can find one, that is. Since it wasn’t available here in Islamabad and at the time, I had no way of getting it from elsewhere, I settled for the equally great Canon EF-S 10-22mm USM. The only disadvantage was the smaller, f/3.5-4.5 variable aperture. The optics are great and I loved it. One of my favorite shots from this lens is the Salt Stalagmite one. After moving to full frame, things got more complicated. The EF-S 10-22mm isn’t compatible with non-APS-C sensors and there isn’t one, really inexpensive or really great option. Some friends and online guides suggested I hack it into a 16-20mm, full-frame compatible lens. The hack involves cutting/filing down the EF-S mount into an EF one and forcibly restricting the lens’s focal range so the end closer to the sensor doesn’t hit the SLR’s mirror. However, I didn’t want to risk damaging such an amazing and under-appreciated piece of glass (nor my even dearer camera) so it is still intact, and still up for sale. It took a couple weeks of searching and reading to settle on the Canon EF 15mm f/2.8 Fisheye. Yes, it’s a fisheye lens, but firstly, it is a very sharp, prime lens. Secondly, the fisheye effect can be removed through photo editors to create a still sharp, super-ultra-wide, 12mm rectilinear image. Unfortunately, most shops list this as a discontinued lens and a new piece is notoriously difficult to find. It definitely wasn’t available anywhere in Pakistan and I ended up asking a friend to get a used one on his way back from the States. The order was placed, but a well-timed snowstorm delayed the delivery and it got left behind. Even sent via courier, it couldn’t have made it into my hands in time for my upcoming Uzbekistan trip. I had anticipated such a delay and even before I got the bad news, I had started looking for an alternative. 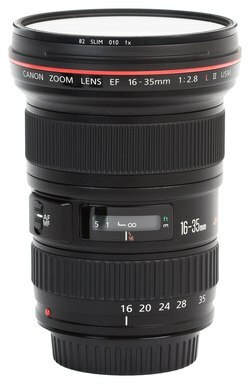 The Canon EF 17-40mm f/4L is a great lens for landscapes and it’s priced very nicely, but the f/4 part bothered me a bit. Although larger/fast apertures aren’t usually required for ultrawide shots, I’m the type of person who’d curse myself whenever I did need it. Best option optically was the manual focus, all-metal Zeiss 15mm f/2.8 ZE. It’s a prime (I love primes), it’s fast, has very low distortion and is really durable. However, at around $3,000, it’s reserved for those with very deep pockets and is probably impossible to find in Pakistan. 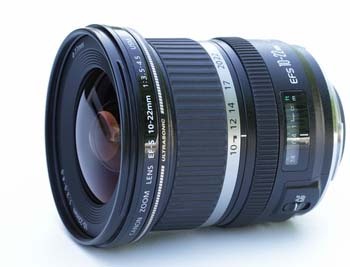 I also considered the Canon EF 14mm f/2.8L II USM, but the reviews weren’t very impressive. At least not impressive enough to justify the price tag. In the end, I went ahead and ordered Canon’s top of the line UW zoom (and also the goto lens for photo journalists). 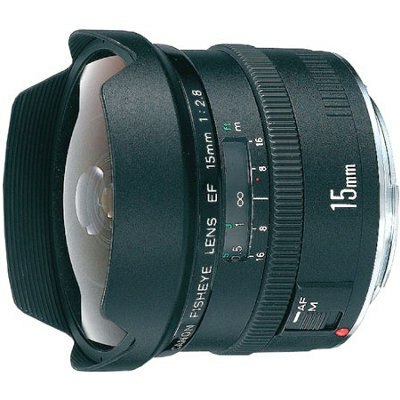 The Canon EF 16-35mm f/2.8L II USM. At first glance, it looked a little… well, little. It’s lighter and smaller than the 24-105mm I have been using with the 5D Mark III. However, both the zoom and focus rings are a pleasure to use. Really easy and smooth to turn and unlike the 24-105mm’s sudden jump from 24mm to 35mm, the zoom range is nicely divided. I have yet to use it for the intended purpose of travel shots and some astrophotography, but over the weekend, I did cover a protest with it. And it wasn’t long before I realized the advantage of having a f/2.8 aperture. The large aperture makes capturing important moments a breeze, even in low light and without bumping up the ISO. It also brightens up the viewfinder for composing those low-light shots. It’s easily my favorite lens at the moment and I don’t have any complaints about it. One speed bump you may run into is the 82mm filter size. Filters that large are not easily available and are significantly costlier than smaller sizes when you do find them. So far, I have not found any 82mm UV filter in the Islamabad shops. Such a filter is a must to complete the weather seal of the lens (oh yes, this lens is weather sealed). However, I did manage to get a B+W Variable ND (neutral density) filter. It seems large and I expected quite a lot of vignetting in shots taken at 16mm, but there just wasn’t any. It should come in pretty handy for shots requiring very long exposures. Well, enough with the long rant. Hoping to post some interesting pics from this lens soon. Stay tuned.